Why not join us at this totally unique event and be inspired! Visit this historic wedding venue with a hidden cellar bar and discuss your wedding plans with knowledgeable staff. Enjoy two outside* fashion shows at 7.00pm and a later one at 8.30pm and watch the models come down the aisle whilst viewing many wedding professionals in action as they would be on your special wedding day. There might be the odd surprise too! Relax after a stressful day with a cool drink and maybe some food whilst watching the world go by. View one of our models arrive by car* as you might do on your wedding day. Enjoy great live entertainment. 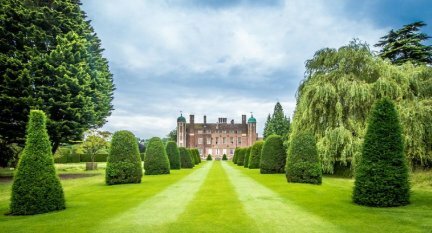 Take a stroll around the 19 acres of picturesque grounds enjoying them at their most colourful best. 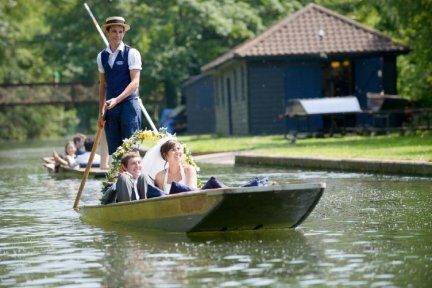 Simply pop along with your partner or friends after work (or later if you commute), the wedding fair is open until 9.30pm and enjoy the most unique wedding event in North Herts this summer. Admission and Car Parking are free. 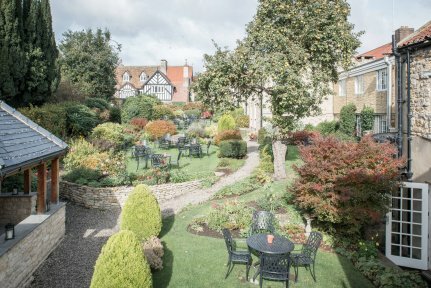 Set in 12 acres of beautiful countryside, the Mercure Bowden Hall Hotel is a grand Grade II listed period venue. Located within easy reach of Cheltenham and Gloucester, the hotel offers tailor-made personal wedding packages to ensure your day is planned to your exact requirements. 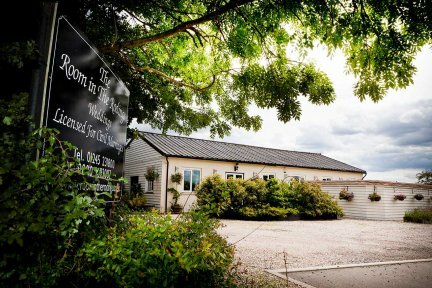 Available with exclusivity, licensed for ceremonies and with stylish on-site accommodation, the venue is the ideal location for your special day. Visit the show to view the venue and meet a range of quality local suppliers exhibiting on the day. 11.00 am to 3.00 pm Free entry, goody bag for all couples and an opportunity to win your dream honeymoon. 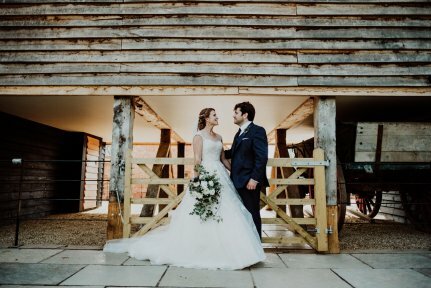 On Sunday 21st July 2019 we’re delighted to open our doors as we host another Wedding Open Day. Throughout the day our team will be on hand to show you around the hotel and to explain the facilities that we have to offer. The Garden Room and The Gallery will both be set up for weddings, showcasing the Garden Room to accommodate up to 50 guests, and The Gallery for up to 90 guests. We’re also delighted to welcome a select team of suppliers who will be here on the day, including photographers, florist, wedding cake supplier, wedding dress supplier, jewellers, wedding cars, musician, event décor & hire, and hair & make-up artist. Our Wedding Open Day will take place between 12 noon and 4pm. There’ll also be the chance to sample some of the wines and canapés which are included within our wedding packages. We are pleased to announce that on Sunday 28th July 2019 between 11 am and 3 pm Creeksea Place will be holding a Wedding Open Day. This is an opportunity for newly engaged couples to view our stunning House and Grounds, to speak with our Event Managers and meet with our esteemed Suppliers. Use our Brochure Request Service to find your wedding suppliers! Our brochure request service is fantastically successful, select as many brochures as you wish in your area, it's free of charge, with no obligation to buy! We'll get our clients to send you their brochure. 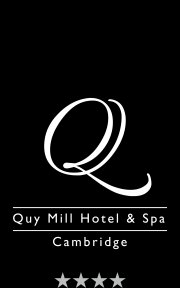 Wedding Open Evening Wednesday 7th August 5pm until 8pm Our beautiful venue will be set up for a wedding ceremony and breakfast to give you an idea of what Quy Mill has to offer for your wedding day. We will also have some of our recommended suppliers on hand to advise and inspire you! You will receive 100 extra chances of winning the annual £25,000 Wedding Prize, and entered in to our additional monthly prize draw and win amazing prizes like a honeymoon or your wedding dress! 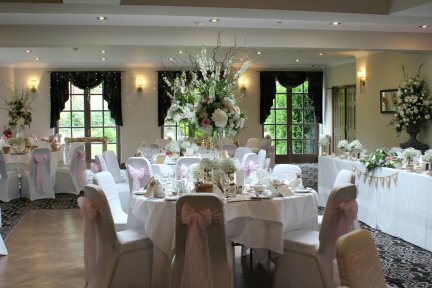 Come along to The Westcliff Hotel anytime between 11am to 3pm to see our venue as it would be for a wedding. It is the perfect opportunity to sit down and have a chat with our wedding coordinator to discuss your wedding plans. Also, having our residential DJ there with a show of his equipment and our Designer who helps add those finishing touches to your big day. We hope to see you there. 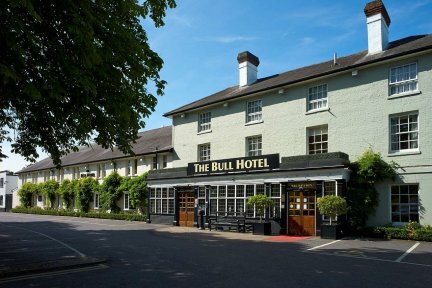 The Bull combines the character of a 17th century coaching inn with beautifully landscaped gardens, contemporary design and award-winning cuisine. Fully flexible Wedding Packages are available to help make your dream wedding day a reality. 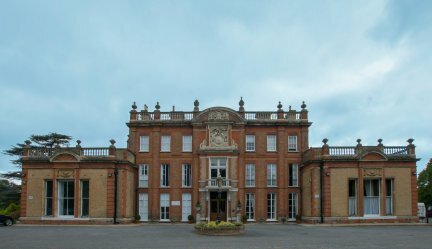 It's also an ideal location for a Wedding Fair with several large function rooms where you'll find around 40 Local Wedding Services and Fashion shows at 12.30pm and 2.30pm. 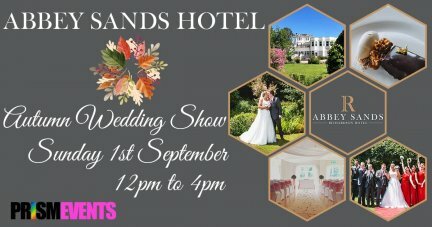 Abbey Sands Hotel is having its big Autumn Wedding show with outside all dressed for a wedding and inside with over 30 quality exhibitors showcasing this stunning venue. Be greeted by the dedicated wedding co-ordination team with bubbles & canapes to welcome you. Come along to Apton Hall wedding show on Sunday 1st September 2019, 11am - 3pm where you can find: - Amazing wedding inspiration for your big day - FREE entry for everyone - Goody bags for all couples getting married - Special offers on the day - Quality wedding suppliers - The latest trends Please pre-register here: http://www.mainweddingsandevents.co.uk/Essex-Wedding-Shows/Apton-Hall-Wedding-Show/ Full of rustic charm and set in an idyllic farm location, the Grade II listed Bridal Suite and surrounding Courtyard buildings have been lovingly renovated and re-designed specifically to create the perfect setting for your special day. Our flagship Sheffield event features over 140 of your finest local wedding suppliers, all eager to help you organise your special day. An amazing and unique venue, Ice Sheffield, see’s the exhibition taking up an entire Olympic-sized ice rink. Don’t worry, you’ll not need your skates or thermals, the rink is covered, insulated and carpeted especially for our wedding exhibition. 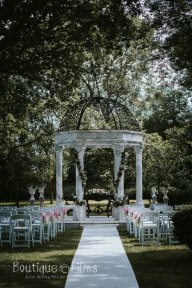 Your wedding planned in one day Featuring everything you’ll need for your wedding day, under one roof, it really will be a day of pure wedding bliss. Starting with a wonderful drinks reception and goodie bags full of treats, there will be amazing professional Milan-style catwalk shows at 11am, 1pm and 3pm, a host of live entertainment from magicians to musicians, a wedding car display featuring classic, vintage, modern and prestige vehicles, plus fab competitions, special offers and so much more! 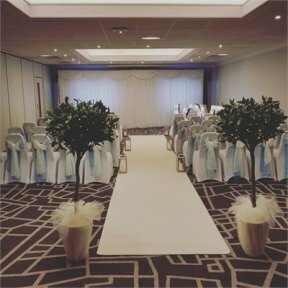 Come along to The Room in the Rodings wedding show on Sunday 1st September 2019, 11am - 3pm where you can find: -Amazing wedding inspiration for your big day -FREE entry for everyone - Goody bags for all couples getting married -Quality wedding suppliers -Special offers on the day -The latest trends Please pre-register here: http://www.mainweddingsandevents.co.uk/Essex-Wedding-Shows/The-Room-in-the-Rodings-Wedding-Show/ Standing in the heart of rolling Essex farmland, in the picturesque hamlet of Beauchamp Roding, The Room in the Rodings is a wonderful venue for your wedding. The Room in the Rodings has been carefully designed to blend traditional, old world charm with modern venue amenities and comfort.